Tons of game video footage is uploaded to YouTube and Twitch every day. If you want to download or save your favorite game videos to computer so you can watch them without being connected to the Internet or on other devices. Here's how. 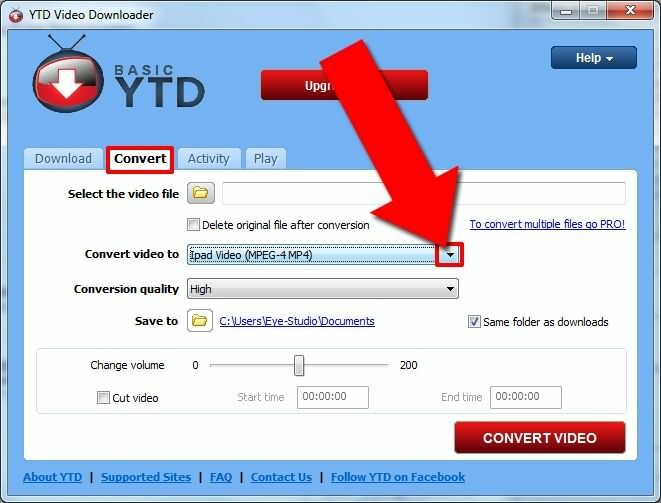 If you want to download videos from YouTube or Twitch then you must have YTD Video Downloader tool install to your device. This software application is available over internet and can be downloaded and installed easily by beginners too. It contains options for changing output of file format as well as users can make few basic improvements over quality on content to be downloaded. You will be glad to know that YTD downloader extends support to more than 50 sites for fast video downloads. Step 1: Go to the page containing your favourite video that you want to get downloaded from internet. Copy its URL. Step 2: Now open YTD video downloader on your device. Step 3: It is time to paste your copied URL at specified space on screen. Step 4: Update changes for desired output format as per your need. Step 5: Select the destination folder for your downloadable file. Step 6: Now hit the download button available on screen. Soon your video will be available at destination folder. In order to maintain rich quality for all your video download needs, professionals suggest using KeepVid Pro . 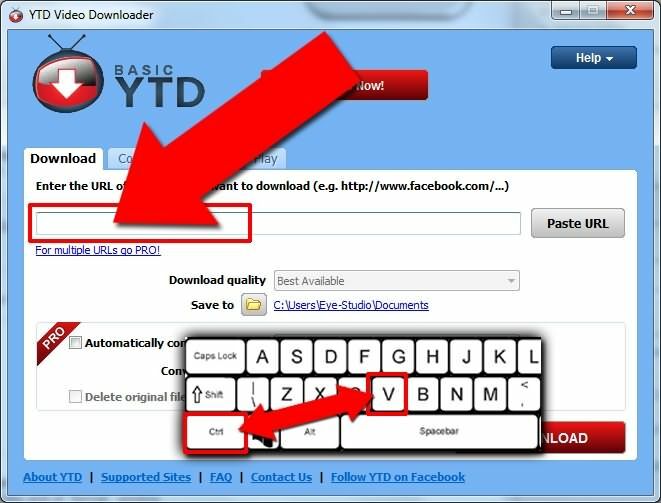 You can start with the trail version of this downloader at initial level and then go for feature rich buy now option. This tool is currently supporting file downloads over 10000 plus sites and you can download videos with more than 150 file format selection options. Its Turbo mode allows ultra fast download facility. Step 1: The very first task is just to get URL of your desired video file from YouTube or whichever site you are following to watch it. Step 2: Now you can open KeepVid Pro on your system. If you have not yet downloaded it then go online and download your software from its official website. Step 3: On KeepVid screen, you will find space to paste copied URL. Paste it there. Step 4: Select your preferred output file format and select a folder inside your computer as destination for downloadable file. Step 5: Now hit the download button. ClipConverter is free online application provides services for easy media conversion from video URLs to any desired file extension and converted videos can be easily downloaded to your device. It supports 4K, 1080p and 720p resolution level and can work with almost all popular video sites like Vimeo and YouTube etc. Step 1: First of all you need to copy URL of your favourite video that you wish to download. Step 2: Now move to the Clip Converter window on your browser. Step 3: Here you will find space to paste your copied URL, put it there. Step 4: Clip Converter tool allows users to make selections for their video file formats, convert time and desired video quality. Update all these settings as per your project needs. 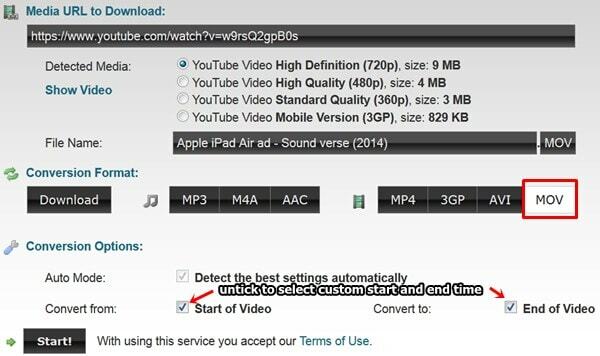 Step 5: Now hit the start button to get your video downloaded to your device.